Mocking chant at U21 derby match. 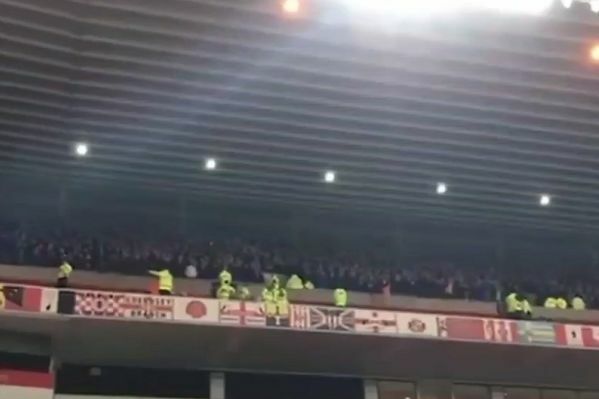 Newcastle United fans chanted “we saw you cry on Netflix” at Sunderland supporters as the rival clubs’ U21 sides met in the Checkatrade Trophy. The song referred to the Sunderland ‘Til I Die documentary series that followed the team’s relegation from the Championship last season. They currently lie 3rd in League One under Jack Ross, just six points off 1st-placed Portsmouth and with a game in hand. A crowd of 16,654 attended the Stadium of Light on Tuesday night to see the home side run out 4-0 winners, taking them into the quarter-finals. Charlie Wyke, Chris Maguire and Benji Kimpioka all got on the mark for Sunderland, with an own-goal from Newcastle’s Kelland Watts completing the scoring. The draw for the next round will take place tomorrow at 7pm live on Sky Sports’s EFL Matters show.